Korea’s beauty YouTubers are the ambassadors to the complex world of ever-expanding K-beauty products. If you are looking to vamp up your beauty bag, check the vloggers below for reviews and tips on how to get the K-beauty look. 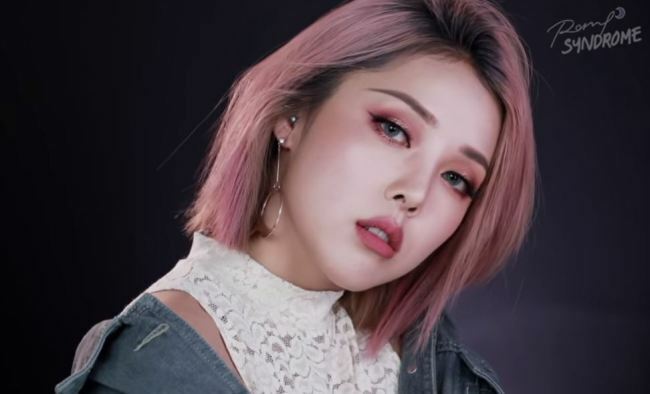 With over 3 million subscribers on YouTube, Pony has gained “beauty guru” status with a huge following around the world, particularly in her native Asia. Formerly in charge of CL’s makeup, PONY is known for her glam looks powered by bold use of color, which go hand-in-hand with her signature brightly-dyed hair. The vlogger has also launched her own cosmetics line “PONY Effect,” featuring a range of hues to suit everyone. A cosplayer-turned-vlogger, SSIN presents dramatic makeup inspired by anime and K-pop idols. In each 10-minute-long clip, her busy hands recreate looks of cartoon characters like Elsa from Frozen, as well as divas like CL. Androgynous SSIN sees no boundary in her metamorphosis, as she turns into male K-pop stars like EXO and Big Bang, as well as non-human characters like unicorns and zombies. The vlogger doesn’t hold back from critical comments on cosmetics she uses, which makes her broadcast an interesting as well as informative one for those looking for product reviews. A former makeup artist to girl groups AOA and EXID, Risabae is known for recreating celebrity looks with precision. Her detail-oriented tutorials are suitable for beginners of K-beauty to learn the basics. The vlogger’s makeup subtly enhances one’s natural beauty, offers helpful tips for those who seek to perfect their everyday looks. Her interaction with viewers, whom she calls “little ladies (and gentlemen),” also makes her broadcast a delight to watch. Sunny, a 19-year-old girl living in New York City, is best known for her celebrity makeovers and easy makeup tutorials for teenagers. From CL, HyunA and Suzy to D.O. of EXO, Sunny has covered nearly 30 K-pop stars’ makeup. The episode where she transformed into EXID’s Honey has garnered over 3.6 million views so far. Food-themed makeup tutorials, such as “Grapefruit Makeup” or “Lemon Guava Makeup,” give viewers a step-by-step guide to complete their daily look. In addition to the makeup tutorial videos, Sunny reveals her daily life through “Sunny’s no jam vlogs” playlist. Calary Girl introduces herself as a “Just an ordinary office worker,” but not all ordinary workers have 1 million followers on their YouTube channels. The multilingual YouTuber fluently speaks Japanese and English, she even runs another channel “Office Worker J,” targeting Japanese viewers. Lamuqe is perhaps best loved for her youthful complexion that stays flawlessly smooth even after she removes makeup. Her beauty tutorials are a complete breakdown of what you should know about skincare, and the ways to achieve a specific type of look according to the day’s needs. Lamuqe’s is a head-to-toe beauty guide that covers hair and fashion. Women in their 20s to 30s are the main audience. Since joining YouTube in November, 2011, Lamuqe has accumulated about 873,000 subscribers as of the end of 2017. If you’re looking for easy-to-follow daily makeup tips, then Yeondukong is the right person to follow. Living up to her YouTube name which means beans, Yeondukong has a cute and friendly manner of maneuvering her video narrations. Her makeup is for “Before the part-time job” or when “Caught up in mid-terms.” Yeondukong has recently been broadening her scope of videos to lifestyle encompassing music, books and movie recommendations. She joined YouTube in May, 2014, and has close to 620,000 followers as of the end of 2017. Kimdax is more than just a beauty creator. Other than showcasing various makeup recreations, including Suzy, HyunA and Irene of Red Velvet, she also creates video content with stories. She collaborated with Disney, making videos of the widely known fairy tales -- “Fairytale in Life.” As a beauty professional, of course, she did not forget to cover the makeup looks of the Disney princesses. She has 390,000 followers, with her videos being viewed for more than 30 million times. Daisy, a beauty and fitness creator, focuses on inner beauty, giving tips from head to toe. With the motto “Self-management is beauty,” she makes videos on skincare, daily exercises and eating habits. As Daisy herself lost 9 kilograms, she even invited the viewers to join her weight-loss camp “Mida Camp,” advising workouts to get in shape. She also does makeup tutorials and reviews on new cosmetic products through “Worth It or Not?” She has more than 240,000 followers, with 1.7 million views.